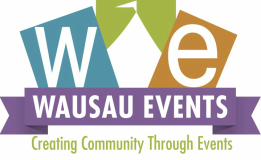 Wausau Events is a 501(c)3 dedicated to creating community through events. We organize many of the premier events in Wausau designed for not only the people of Wausau but also the surrounding communities. 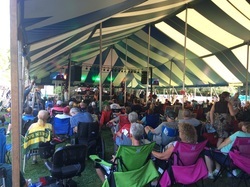 These events receive very high exposure to the public and are well-attended. 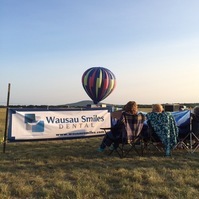 Sponsorships are available at all price points and Wausau Events is willing to work with organizations to create a sponsorship package that works for the sponsor and the community! 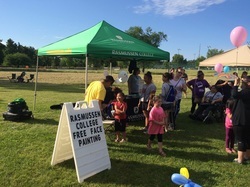 For more information or to contact Wausau Events, please contact Sara Hujar, Executive Director, at execdir@wausauevents.org or 715-297-9531. A 5K race the Saturday morning of Balloon & Rib Fest that winds through the Southeast neighborhood that the Wausau Airport is located in. Sponsorships available are: Presenting Sponsor ($1000), Gold Sponsor ($500) and Silver Sponsor ($250). Choose a night and shine! It is your night of the series so you are welcome to bring promotional materials, introduce the band, do giveaways, talk during intermission. We are willing to work for you to make that night worth your sponsorship! Friday night at Oak Island is the family night which includes bounce houses, crafts, food vendors, a petting zoo and a movie at dusk! Features over 150 types of beer, bacon from local restaurants and butchers as well live music! Sponsorships available from $500 to $4000. Sponsors receive recognition in print ads, social media, radio. banners at event and presence at event if desired. 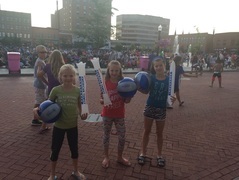 Event includes activities for families on the 400 Block and surrounding businesses. A pumpkin patch, horse-drawn wagon rides, kids tractor pedal pull and more! All are available to sponsorship. Event includes a snow slide, ice sculptures, horse-drawn wagon rides and more! Sponsorships available include: presenting sponsor, snow slide sponsor, ice sculpture sponsors, cookie sponsor, wagon ride sponsor, and more! Not sure what event will maximize your sponsorship? Contact Sara Hujar, Executive Director, and she can meet with you to find the right fit for your needs! Customization is always available, Wausau Events encourages all businesses to get involved and reap the benefits of a sponsorship of a community event.